Convenient and easy to setup the bright and versatile HD27 boasts amazing color technology and conforms to REC.709, delivering accurate true to life color reproduction. This small projector is ideal for watching live sports, TV shows, or movies any time of day on a big screen. You can even connect your gaming console and play games on it with its low input latency. An integrated speaker provides you with great sound, and two HDMI inputs make for an easy setup. Perfect for connecting a laptop, PC, Blu-ray player, streaming player, or gaming console. You can even turn it into a smart projector by connecting a HDMI dongle like the HDCast Pro, Google Chromecast™, Amazon Fire TV or Apple TV™ (all sold separately) to play games, stream videos and share photos on the big screen in the comfort of your own home. Weighing in at less than 5.5lbs, it's easy to take it round to a friend’s house for a sports event, movie night, or games marathon for the best big screen experience anywhere with a flat surface. Full HD 1080p- 1080p resolution gives you sharp and detailed images from HD content without downscaling or compression; perfect for watching movies, viewing photos and documents. Auto power off- There may be instances when the projector is left running when not in use. To help save energy if the projector is left running and no source is detected, the “Auto power off” feature automatically turns off the projector after a set period of time. Smart projector- Turn your projector into a smart display by connecting the HDCast Pro (sold separately) or Apple TV™ to stream videos, music and share photos on the big screen using your smartphone or tablet. 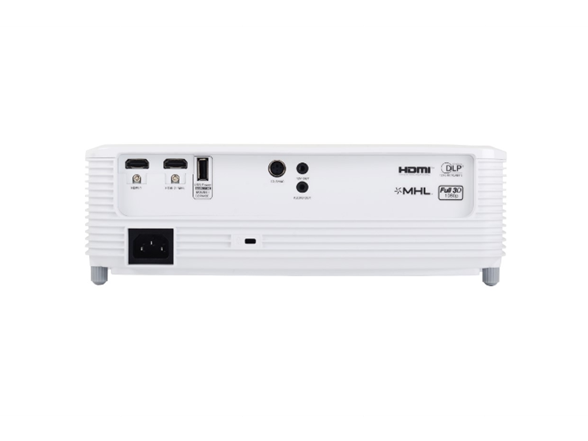 MHL- Turn your projector into a smart display by connecting your smartphone or tablet with a single cable using MHL, enabling you to view presentations and documents, stream videos and share photos on the big screen. Dynamic black technology- Dynamic black gives more depth to your image by smoothly adjusting the lamp output, based on the brightness information of each frame; to create a stunning high contrast ratio. Bright scenes appear crisp and clear, while dark scenes remain detailed with deep blacks and exceptional light and shade detail. 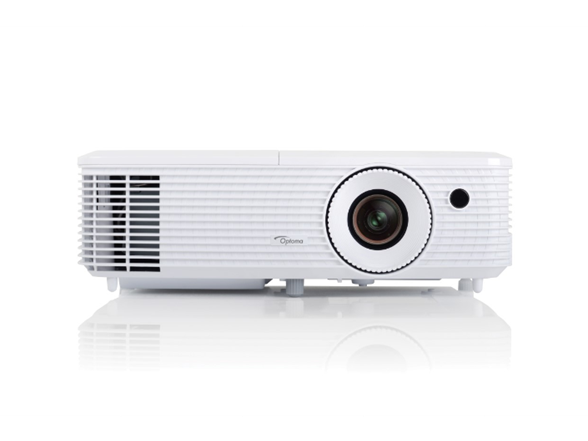 Full 3D- Optoma projectors can display true 3D content from almost any 3D source, including 3D Blu-ray players, 3D broadcasting and the latest generation games consoles. Amazing Color- Give powerful presentations and educational lessons with stunning colors. 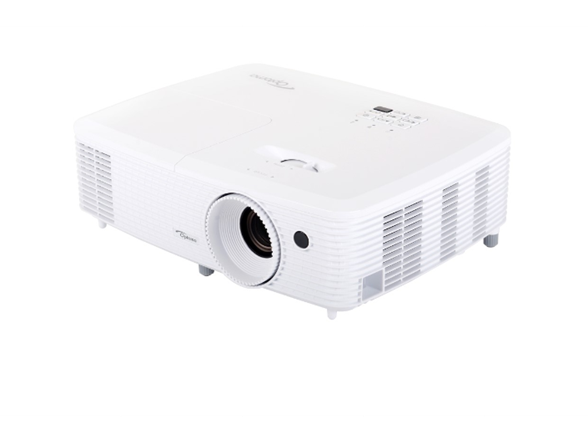 Optoma projectors provide you with reliable color performance suitable for any content and environment. From accurate sRGB colors for true life like images to vibrant punchy presentations. We have a display mode to specific meet your needs. Dimensions (W x D x H) 11.73" x 3.7" x 9.0"